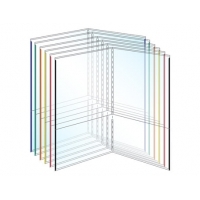 It has never been so easy to customize your own folders! 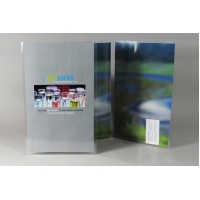 EnvyPak™ brand stock folders give you tremendous flexibility to create customized presentations, reports, media kits and more in a crystal-clear and durable design. 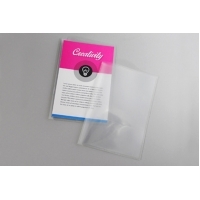 You can customize this folder by simply sliding your cover insert behind a full size clear pocket and additional pockets inside allow for other materials to be included. 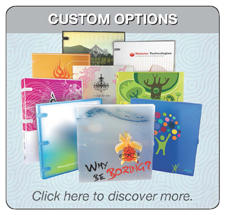 These EnvyPak™ brand folders are not only very durable but will last and last. As low as $0.693 per folder! 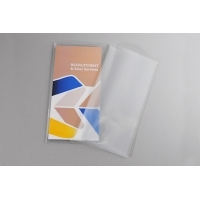 EnvyPak Clear Plastic Folders give you tremendous flexibility to create customized presentations, reports, media kits and more in a crystal-clear and durable design. As low as $0.439 per folder! As low as $0.353 per folder! As low as $0.779 per folder! 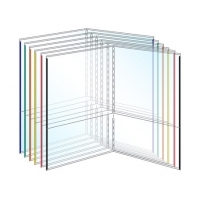 EnvyPak Clear Poly Folders give you tremendous flexibility to create customized presentations, reports, media kits and more in a crystal-clear and durable design. As low as $0.257 per cover! 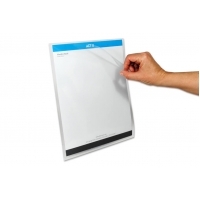 EnvyPak's Clear Document Cover adds an attractive, protective touch to documents, reports, and presentations.